Garth is a 500hr E-RYT, Teacher Trainer, Yoga Therapist and has led Classes, Workshops, Retreats and Teacher Trainings in Los Angeles and around the world. Garth taught for several years at the original Yogaworks in Santa Monica and at Exhale - The Center for Sacred Movement in Venice. 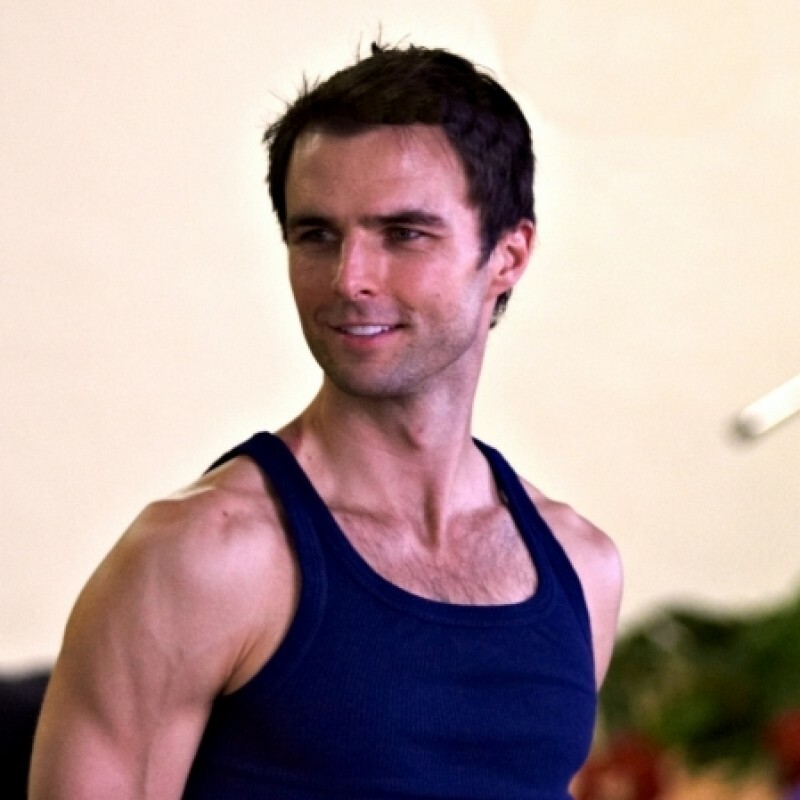 He led the first Pure Yoga Teacher Training, in Los Angeles, at Equinox, with Ashley Turner. He has been featured in Men's Health Magazine, Mantra Magazine and LA Yoga. Garth completed teacher training at Yogaworks in Santa Monica with Annie Carpenter & James Brown, mentoring with Annie Carpenter, advanced teacher training at the Dharma Yoga Center in New York, with Sri Dharma Mittra and additional advanced teacher training at Loyola Marymount University, with Srivatsa Ramaswami. He has spent time in Mysore, India, studying Ashtanga Yoga, with the Sri K. Patthabi Jois family, practicing with Saraswati Jois. He also completed the Yoga Therapy Rx program, at Loyola Marymount University, with Dr. Larry Payne and completed Yoga Tune Up® teacher training, with Jill Miller. Garth teaches Integrated Vinyasa Flow classes, focusing on alignment, breath and concentration. He also teaches Pranayama, Meditation, Yoga Nidra and Yoga Therapy. A strong and balanced flow with an emphasis on opening the hamstrings and inner things and wrapping the shoulders to prepare for Bird of Paradise and several wrapped options and variations. A nice hold in a seated wide legged forward fold and guided meditation as we cool down. Get ready to go deep! A challenging and balanced flow leading to a peak pose of shoulderstand dropbacks during back-bending and a long hold in the shoulderstand to close the practice. Lots of emphasis on the shoulders in extension to prepare. Many bridge pose variations to prep for the dropbacks. The shoulder stand is the Queen of all the asanas. An important asana and also a mudra! Get grounded and feel your connection to the world around you! A strong and intense flow with focus on the outer hips. Lots of Half Moon variations as well as some deep twists and a nice long hold in Double Pigeon to close the practice. First chakra energy is about your relationship to the physical world. Embrace it. Breathe into it. Trust. A challenging balanced flow with lots of emphasis on the shoulders and the core to prepare for work on handstands. Balancing poses like the handstand help us learn to concentrate and immediately show us when we lose concentration if we fall out of the pose. Learn some useful tools in this sequence so you don't have to use the wall or rely on the wall for balance. A strong vinyasa flow practice with lots of backbending. This class explores the bow pose and lots of different bow variations leading to the full bow pose or the advanced version. Get ready to open your heart! Be more receptive. Be more vulnerable. Give and receive more love. A strong and balanced flow with an emphasis on spinal twisting. Twisting is great for the spine, good for digestion, cleansing -- and a great way to work the side core muscles. Get ready to go into the fire and get twisted. Our peak pose is Twisting Koundinyasana and a couple of transitions involving this pose. Bring your towel, time to get a little sweaty! A strong balanced flow with an emphasis on preparing the shoulders for the peak pose Urdhva Dhanurasana (Upward Bow) and exploring some different ways to get into the pose and how props can be helpful in work on this pose. Lots of back bending. Lots of arms overhead in flexion. This one's intense! Go into the fire but stay calm and match the intensity with the surrender to your breath. A strong and balanced vinyasa flow class with an emphasis on the core. Go into the fire! Build heat and empower yourself. Give your intentions more power with a strong 3rd chakra focused practice. The core is more than just your abdominal wall. Work on all the deeper core stabilizer muscles and find a balance between strength and flexibility. This is a strong and challenging class leading to a peak pose of Vishvamitrasana. This pose requires that we open the hamstrings and the inner thighs and is also a challenging arm balance. Lots of preparation poses on the way, wrapped up in a nice balanced flow. Some focus on Vasisthasana, the sister pose to Vishvamitrasana. A strong and challenging flow with a focus on back bending and preparation for Bow Pose, Dhanurasana, with lots of variations and modifications as well. Some fun optional partner work too if you are practicing with someone. A big heart opening and energizing sequence. Being more receptive. Sometimes you just have to open your chest and your shoulders and the rest will come!